The 4th of July Daiquiri Party is totally raging on Instagram! It’s a rager y’all! 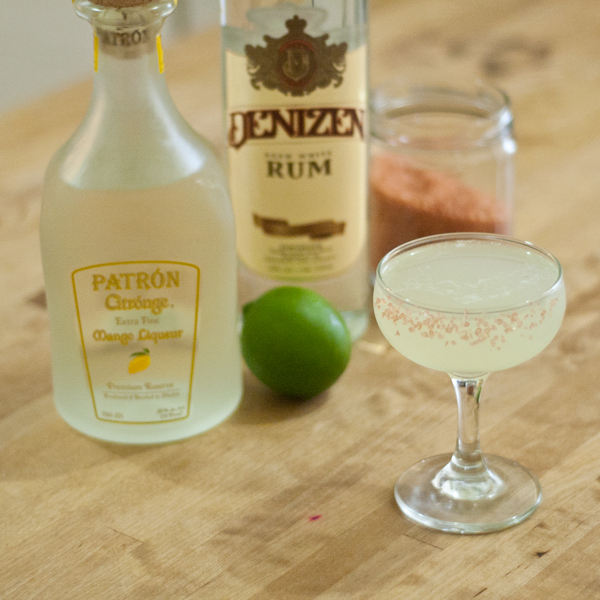 If you have a Daiquiri that you’d like to post, use the hashtag #4thOfJulyDaiquiriParty. Yesterday, I got a surprise package in the mail with a fabulous bottle of Patrón Citrónge Mango Liqueur in it! 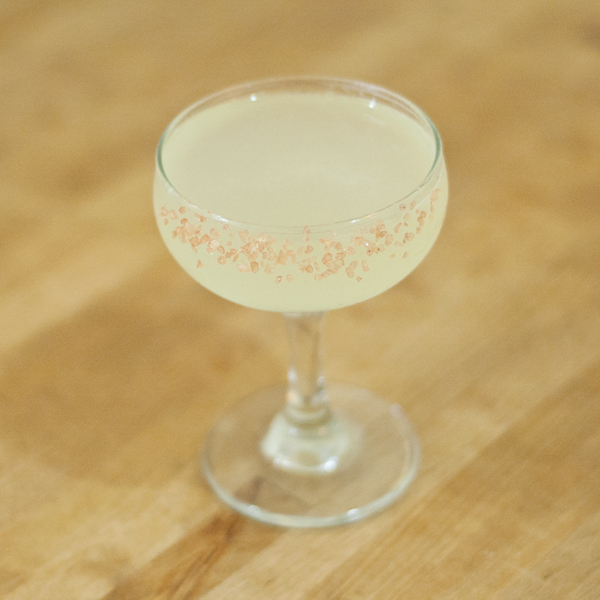 This liqueur is sweetly fragrant with notes of Mango, Citrus and even Peach. In the mouth it has a nice viscosity and is bursting with delicious Mango flavor. Supreme. It was such perfect timing for the Daiquiri party too! 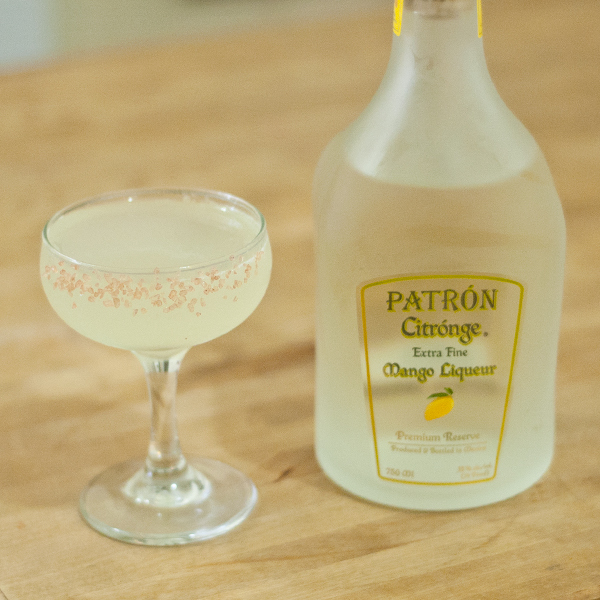 The delicious flavours of the Patrón Citrónge Mango Liqueur led me to think about having Salt as a garnish. 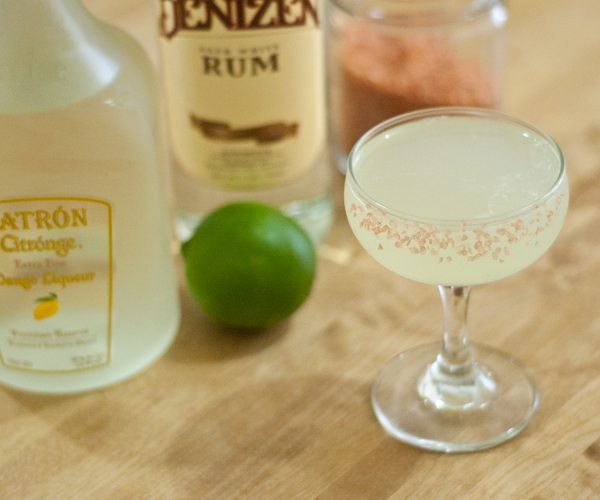 Other than that, it’s in the standard Daiquiri format. Combine ingredients over ice and shake with a mad fury! Rim 1/2 of the Coupe with Pink Salt. Strain drink into coupe. Thanks to M Booth for the Patrón Citrónge Mango Liqueur!